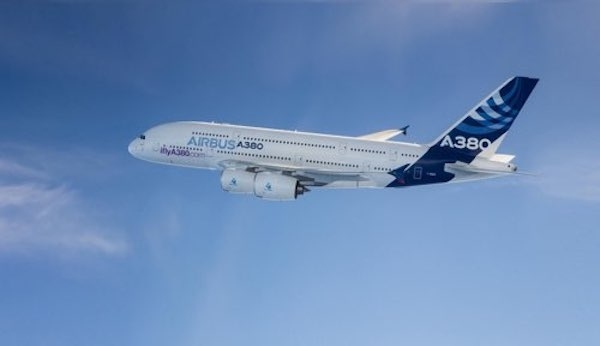 The first Airbus A380 has been dismantled and will be sold as spare parts as a new lessee or buyer could not be found following expiry of the 10-year lease in October 2017. For investors, this is likely to mean a modest end to their investment, according to research by Scope Analysis. The engines have been leased to manufacturer Rolls Royce, so liquidity and scheduled debt repayments are secure for the time being. Nevertheless, in a report on the options open to management of the A380 fund, Scope points out that this provided no cost-covering and therefore is not a long-term solution because of debt service yet to be performed on the bank loans. The decision to part-out means the engine lease agreement with Rolls Royce will be extended until the end of 2020 under existing conditions, after which they will be sold. The rest of the A380’s components are expected to be sold by the end of 2020. Proceeds from the sale of the components and engines will initially be used to repay bank loans and then be distributed to investors following the redemption of senior loans in 2019 and 2020. Management of the fund has outlined three capital-return scenarios, with possible sale revenues of between USD 64m and USD 74m. In USD, the fund’s trading currency, cumulative distributions would be 128% (scenario A), 133% (scenario B) and 138% (scenario C), following an original commitment of 105%. “On the plus side, even the most pessimistic scenario presented by Dr. Peters should result in positive returns for investors, albeit well below the 7%-8% annual returns anticipated at the time of the fund’s launch,” said Frank Netscher, associate director, alternative investments, at Scope. “But while investors are unlikely to suffer losses, the scenarios outlined are uncertain because no A380 has yet been parted-out”. Exchange-rate developments have been a positive for investors who switched their payouts into EUR: in 2008, the average exchange rate was 1.47 EUR/USD. At the time the report was originally written (15 July 2018), it was 1.17. As a result, the actual returns from the three outlined scenarios will be higher for EUR investors. Investors in closed-end fund secondaries are reacting to the decision to part-out. “The reduced uncertainty and the improved predictability regarding potential returns has resulted in increasing trading prices, although even with the spike in prices, fund shares continue to trade at a high risk-discount. This shows that the market still lacks sufficient historical values to validate price estimates for A380 components,” said Netscher.